Carol has come to painting through her love of gardening and flowers. In 2005 she was accepted as a member of the Society of Floral Painters, exhibiting at Mottisfont Abbey, Hilliers and Chichester. 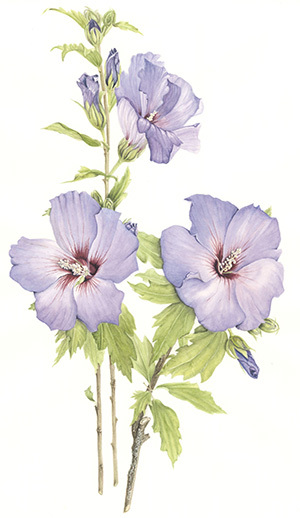 Her work has been exhibited with the Society of Botanical Artists at Westminster Halls in London and the South West Society of Botanical Art at Stourhead. In 2010 she attended the English Garden School’s Diploma Course in Botantical Painting at the Chelsea Physic Garden and graduated in 2012. 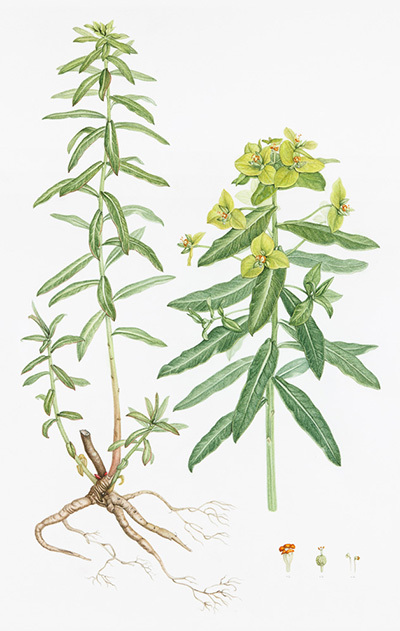 She then exhibited with the RHS in London and received a Silver-Gilt Medal for her entry on Euphorbia for Temperate Gardens in 2016. She was also invited to be part of the new Pharmacopoea Londonensis which the Royal College of Physicians published in 2018 to celebrate it’s 400th Anniversary. She is a fellow of the Hampton Court Palace Florilegium Society and since joining in 2014 her paintings have become part of the Palace Archive.